Beachbody created their first ever Spanish-language fitness program called Mes de Más. Created by fitness expert Idalis Velazquez, Mes de Mas is aimed at helping you to tone and sculpt while losing weight. What is Mes de Más? Mes de Más is a Beachbody fitness program that is taught completely in Spanish! it is one-month fitness and nutrition program that provides you with simple solutions for living a healthier lifestyle. You’ll get delicious Latin recipes too while on your journey to achieve your fitness and weight loss goals. Mes de Más is cued in Spanish by Latina Super Trainer Idalis Velazquez. The Spanish-language fitness program is one-month long and each workout is just 30 minutes! You can definitely make time for that! Plus, each of the 24 workout sessions is unique. 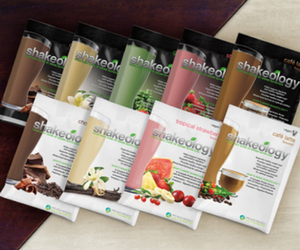 Mes de Mas is available now with annual Beachbody On Demand and Shakeology! What’s Included with Mes de Más Workout? 24 unique workouts that you do six days per week. You get to rest on the seventh day. Each workout is different. The workouts cover cardio, lower body resistance, total body resistance, agility, upper body resistance, and mobility. Plus, there are modifications for the workouts. Even though this is a Spanish language program, English audio is available on Beachbody On Demand. QuickStart Guide to help you get started with the Mes de Más program fast. The Mes de Mas calendar lists your workout for every day of the week. Tracker and Nutrition Guide is an all-in-one nutritional reference and daily tracking tool. Mes de Más Recipe Collection includes healthy Latin inspired foods. 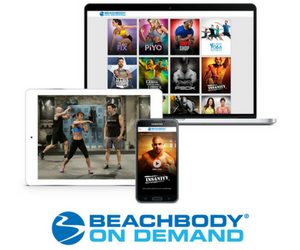 Mes de Más Chats gives you access to weekly video chats with motivation, tips, and inspiration from Idalis on Beachbody On Demand. Who Should Use Mes de Más Spanish Language Workout? Are a native Spanish speaker and prefer a home fitness program in Spanish. 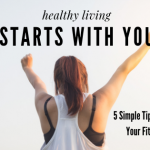 Want to how to include healthy habits into your daily lifestyle in a practical way. Are a busy person without much time to workout. Want to look and feel good with super-effective workouts. Want a more toned and sculpted body. Idalis Velazquez is a NASM certified personal training and the first Beachbody Latina Super Trainer. She is the lead trainer in Mes de Mas workout. As a lifelong athlete, she is also a lifestyle expert based in Fort Lauderdale, Florida. Growing up Puerto Rico she was nationally ranked as a track and field athlete for many years. Her active lifestyle came to an end due to medical setbacks. After marriage and two children, she needed more energy and got motivated to get moving again. 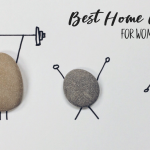 Idalis now specializes in fast and effective workouts that help busy people and working moms get the results they want in the time they have. I am super excited about the Mes de Mas workout! It’s a great way to get fit in a short amount of time. 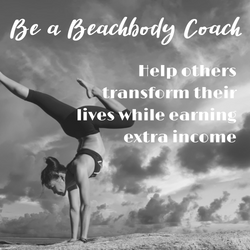 If you have just 30 minutes a day, you can make a huge different in your life within just one month! Get started now with your Mes de Mas workout!